Austrian publicist; born June 18, 1812, at Düsseldorf; died Nov. 15, 1886, at Vienna; brother of Heinrich Heine. On completing his preliminary education at Hamburg he studied at the universities of Halle and Göttingen. He first engaged in agriculture, then in business, and then entered the Austrian army, rising to the rank of first lieutenant. In 1847 he founded in Vienna "Das Fremdenblatt," a periodical that became the official organ of the Austrian Foreign Office. In 1867 the Order of the Iron Crown of the third class was conferred upon Heine; and soon afterward he was knighted. 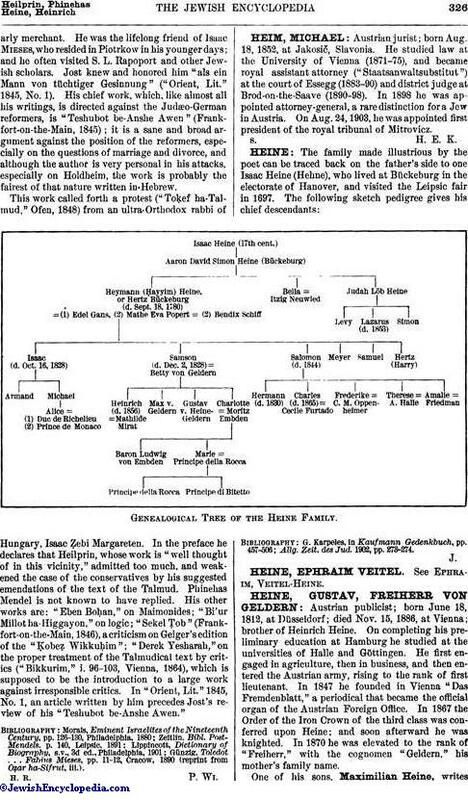 In 1870 he was elevated to the rank of "Freiherr," with the cognomen "Geldern," his mother's family name. 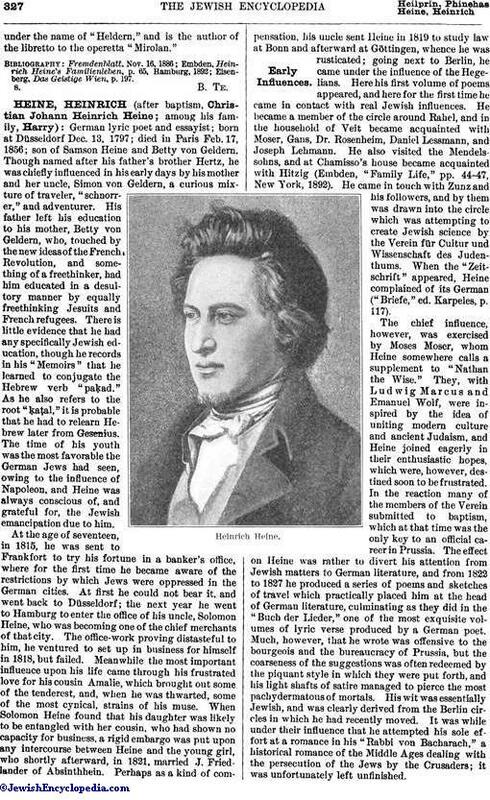 One of his sons, Maximilian Heine, writesunder the name of "Heldern," and is the author of the libretto to the operetta "Mirolan." Eisenberg, Das Geistige Wien, p. 197.